Como ya vimos en su momento al estudiar los gemelos de este buque, los ATXURI-MENDI y ALOÑA-MENDI, en la página web Hartlepool History. Then and Now, también se puede encontrar referencia al momento de la botadura y de las pruebas de mar del vapor ARALAR-MENDI, en realidad el primero de los tres vapores gemelos en ser botado. El texto, transcrito íntegramente, es el siguiente: …”For Spanish Owners. Launch of First of Trio of Vessels. Central Yard Ceremony. Northern Daily Mail, 30th Nov 1928. 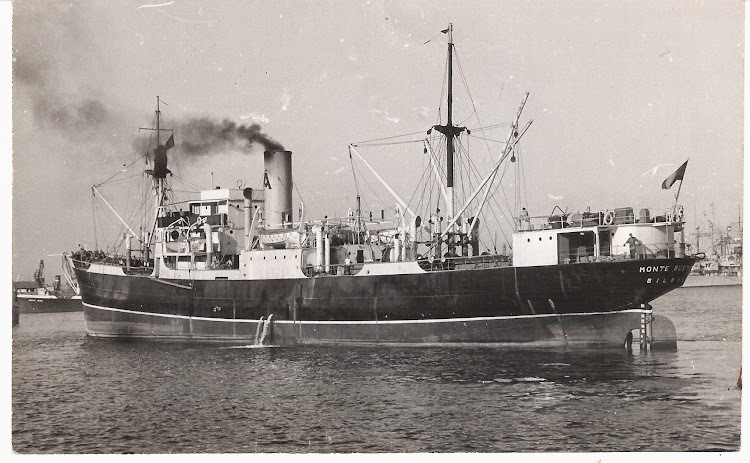 Messrs. William Gray and Co., Ltd., have launched from their Central Shipyard, West Hartlepool, the steel screw steamer ARALAR-MENDI, the first of three which they are building to the order of La Compania Naviera Sota Y Azner (sic), of Bilbao, for their general cargo line from Glasgow and Liverpool to Spanish ports. The dimensions of the steamer are as follows: length over all, 289 ft.; breadth extreme, 39 ft.; and depth moulded to upper deck, 18ft. 2 ½ in. with open shelter deck she will take the highest class in Lloyd’s Register. The ARALAR-MENDI is constructed on the cellular double bottom principal with after peak for water ballast, the framing being of the deep bulb angle type, and has four watertight bulkheads. 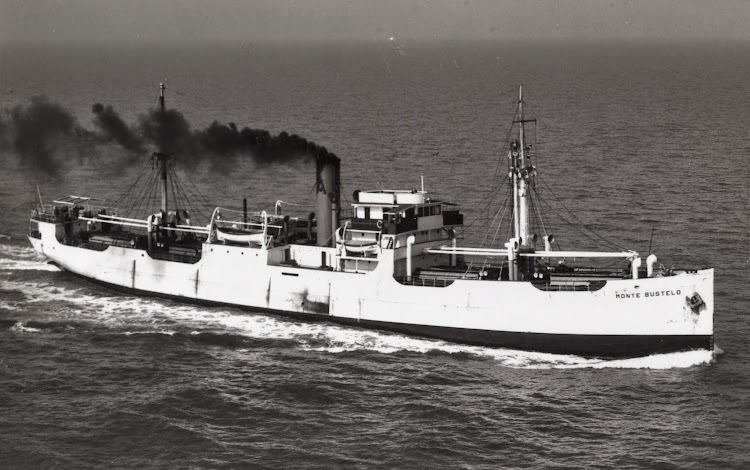 Accommodation for the officers is arranged in a steel house amidships, the engineers are berthed in steel houses alongside the engine casing, and the crew in cubicles in the poop, with separate mess rooms. For the quick handling of cargo eight powerful steam winches are to be provided to work eight derricks. A steel derrick for dealing with 25 ton lifts will be fitted at the foremast. A direct steam windlass forward and combined steam steering gear aft are also to be fitted. The topmasts will be telescopic, lowering to a height suitable for the Manchester Ship Canal Bridges. The ARALAR-MENDI will be completed in all respects as a first-class cargo steamer, her equipment including wireless installation and electric light throughout. Triple-expansion engines having cylinders 20 ½ in., 33 ½ in., and 55 inches diameter, by 39 inches stroke, and two boilers working at a pressure of 180lbs. will be supplied by the Central Marine Engineering Works of the builders, and a number of auxiliaries of the “CMEW” type will be installed, including auxiliary condenser combined drain and scumming tank, live steam surface feed water heater, pair of independent feed pumps, evaporator, general service pump and ballast pumps. The ship and machinery are being built under the supervision of Mr. A. de Bareno, of Bilbao, and the ceremony of naming the steamer ARALAR-MENDI was gracefully performed by Mrs. Douglas Edgar of Domira, of West Hartlepool. The owners were represented by Mr. A. de Bareno, the builders by Mr. F. C. Pyman (managing director), Mr. A. McGlashan, and Mr. T. McCarthy (directors), Mr. T. S. Simpson (General manager), and Mr. W. Hind (Yard Manager). Amongst others present at the launch were Mr. and Mrs. O. P. Aarvold, Mrs. F. C. Pyman, Mr. R. H. Charlton (Spanish Vice Consul), and Mrs. Charlton, Mr. and Mrs. H. S. Sanderson, Mr Brian Aarvold, Mr. Alan Muhr, and Mr. W. Brooks. Rebautizado como MONTE BUSTELO reinicia su habitual quehacer diario, cambiando las costas inglesas por la navegación en el cabotaje español. El primer tráfico es Canarias-Península junto a los MONTE ABRIL, MONTE BIZCARGUI y MONTE BANDERAS, en lo que se anunciaba como Regular Trafico Marítimo Frutero, y que era consecuencia del fin de las exportaciones de plátano a Europa, como consecuencia de la guerra mundial. Con posterioridad, tras la regularización de la navegación, mas cabotaje nacional hasta ser ya un anacronismo flotante cuando se desguazo. El ARALAR-MENDI, primero de la serie, como ya hemos dicho, se botó al agua el 28 de noviembre de 1.928 y se desguazo en diciembre de 1.961. De la serie: Aralar-Mendi, Atxuri-Mendi, Aloña-Mendi. iniciaron la línea a Inglaterra como dice el artículo. Donde dice Monte Abril, creo debe decir, Monte Buitre. Te envío una fotografía del Monte Bustelo como Aralar-Mendi. Este barco lo pilotó mi abuelo, y tras su estancia en el Hull, lo capitaneó. Existe la posibilidad de consultar hoy en dia los archivos del buque ?. Para documentar un trabajo que llevo a cabo me interesaría conocer las fechas exactas en que se encontraba en el Puerto de València. Año 1936.